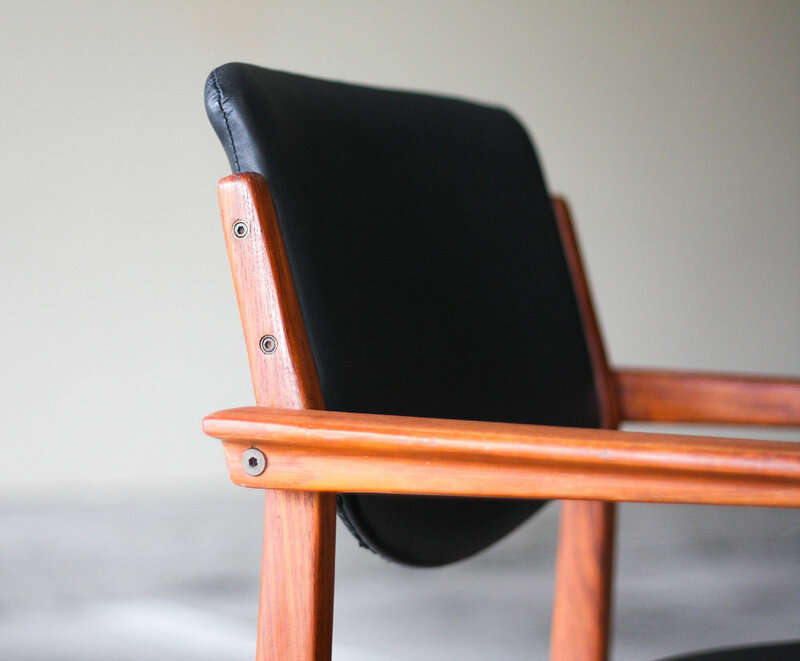 Beautiful Finn Juhl for France and Daverkosen c. 1960. Solid teak frame with naugahyde seat and back. Sculpted arms and slightly angled backrest make for a comfortable sit in a living room or at a desk. Subtly curved seat adds a stunning floating effect. Condition: Excellent vintage condition. Very minor imperfections and patina to the frame. Nothing that would warrant the chair needing to be refinished, although it could be if you desired. Please check the pictures to see how gorgeous this chair is.